After great success with launching ChromaPop lens technology in the Snow Market, we revolutionized the user experience through the all-new Smith MAG Interchangeable System. Building on the success of the original I/O goggle and its counterparts within the collection, the new I/O MAG was designed through a process of reducing elements to only the most essential. The outcome: a completely rimless design featuring eight strong and weatherproof magnetic contact points that self-guide the lens into the anchored position. Once in place, the lens carrier provides dual locking mechanical-engagement points that resist forces and rotation during movement. As the demand for the performance and clarity of ChromaPop increases, we’ve expanded the lens offering to 11 lens tints. 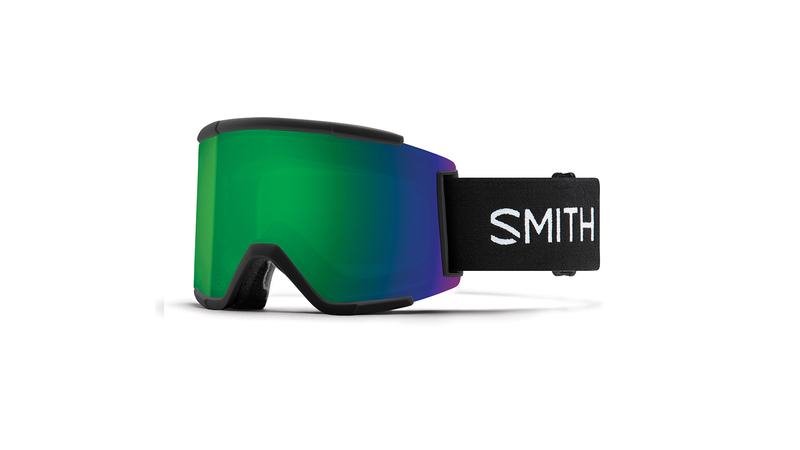 Smith’s ChromaPop snow lenses are uniquely tuned to deliver the ultimate in visibility, clarity and durability in Sun, Everyday and Stormy conditions. For FW18/19 Smith is also proud to introduce a proprietary technology enabling you to quickly adapt to varying light conditions with the confidence of lens security: the Smith MAGTM Interchangeable system. We design our goggles and helmets to not just work together functionally, but also to be merchandised through colour combinations. Smith is using more Matte finishes than ever before, especially in Women’s colourways, exploring fancy tints and different finishes. We will also release our Athletes Collections with exclusives straps customization designed by Smith’s crew of Athletes. For the 18/19 season, we’ve continued collaboration with our global athletes to create the Athlete Collection series. 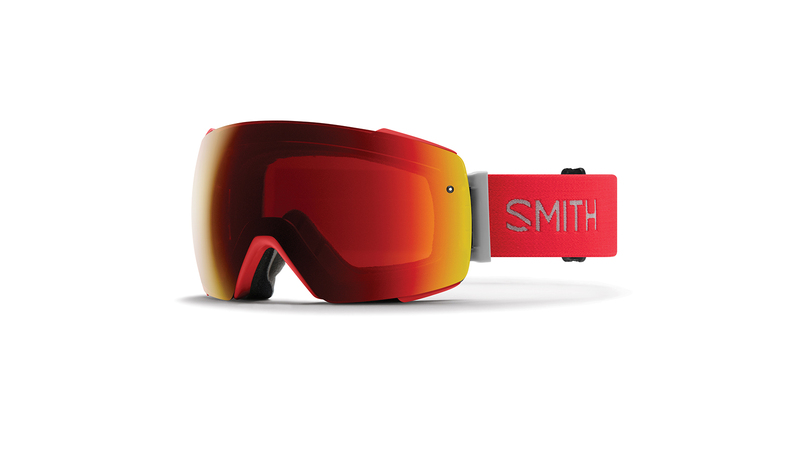 In this collection, Smith enables our athletes to inject and tell their individual stories through unique designs on straps and goggle colourways. Furthermore, we’ve partnered up with The North Face and team rider, Austin Smith to create a unique colourway of the I/O Mag goggle. As a brand rooted in the mountains, we set out to give back to the community through more collaborations: B4BC and High Fives Foundation. A percentage of each sale of the B4BC Skyline Goggle, and co-branded Hi-Fives I/O and Quantum helmet go to each foundation to support their efforts in growing awareness about each mission. Through 53 years of Innovation, Smith revolutionizes the goggle industry with an all-new interchangeable system: Smith MAG™ Technology. With the addition of the Smith Mag Technology, users will benefit from the sound of change to quickly adapt their ChromaPop lens choice to the varying conditions on the mountain. A proprietary technology enabling you to quickly adapt to varying light conditions with the confidence of lens security. The next generation of goggle interchangeability has arrived. While there are other magnetic interchangeable systems in the marketplace, nothing compares to the Smith I/O MAG which comes with dual locking mechanisms, which allows the lens to stay on and locked tight, for whatever the hill throws at you. The all-new Skyline with its rimless design maximizes your field of view while providing superior helmet integration. The oversized spherical ChromaPop lens has a substantial peripheral vision and is enhanced with Fog-X anti-fog coating for fog-free vision. 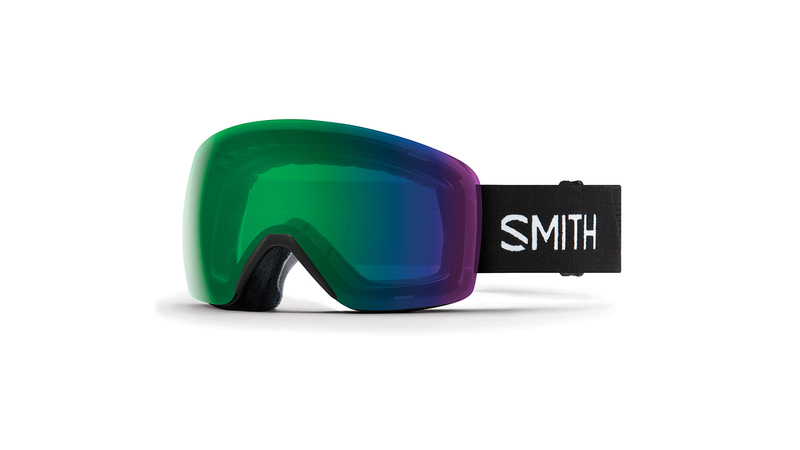 The Squad XL, Smith’s largest cylindrical goggle in the line. The massive cylindrical lens is made from moulded carbonic-x material so it’s tough, but still has Fog-X technology and ChromaPop™ lens innovation for crystal clear vision. The oversized semi-rimless frame is matched with a new, larger strap; complete with fully integrated strap connection point that delivers the function you need without extra moving parts. Essential technology and maxed-out size ideal for the best days of riding.